Hair and skin have been the most important aspects and customers have been paying a lot more attention to both of them. With the trends changing, every customer aspires to be beautiful and good looking. It is always said that our personality can either be made or marred by our mane. Hair restoration techniques have established themselves in the Indian market and consumers have been using them efficiently. 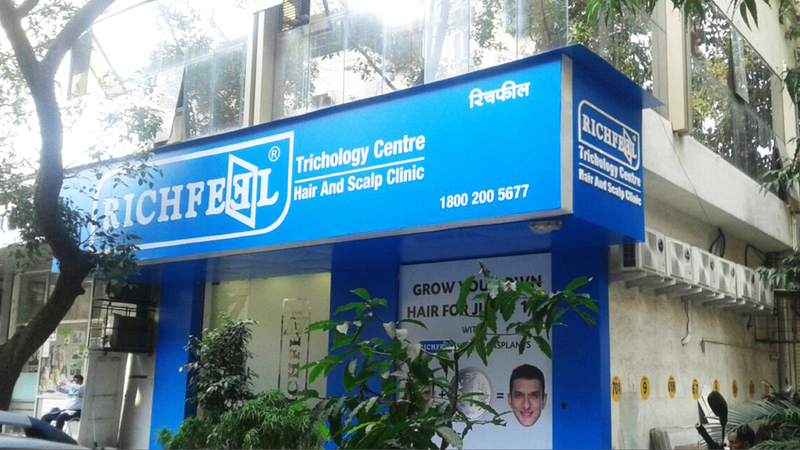 RichFeel is a brand that has been into the hair treatments and Trichology market since a long time. The brand has established a loyal clientele not just because of their treatment methods but also because of skilled and talented professionals in their team. Various procedures to tackle scalp diseases and problems have been sorted out by RichFeel. The brand is providing satisfactory services to the customers and is expanding itself across places simultaneously. RichFeel has made their place in the beauty market by providing superior quality treatments. They have merged technology with treatment procedures and have provided customers with what they desire the most- quality and quantity. Customers wish to receive good treatments at a considerable price and RichFeel, with their technology infused and good quality treatments, caters to this need of their strong customer base. Every brand wants to have a team which is skilled at their work and talented as well. Happy and satisfied customers are like a need of every brand and RichFeel meets their need by getting the best doctors in the field of Trichology. The procedure definitely requires skilled and trained doctors to carry it out. Each store of the brand has the best doctors to treat the patients which makes the services of the brand reliable and develops a strong bond of trust between the patients and the doctors. RichFeel was established in 1986 and since then it has changed the way hair treatments have been done on the customers. They have merged technology with hair restoration industry and the results have been marvellous. Under the guidance and supervision of Dr Apoorv Shah, Founder, RichFeel, the brand has been able to make their mark and is known by all in the skin and hair industry. “The USP of RichFeel is that we are the pioneer in Trichology and hair doctors in the nation,” says Dr Apoorv Shah, Founder, RichFeel. The brand saw operational benefit as the key factor of taking up franchising. The benefits of strong marketing and sales support attracted the brand towards it and now, they have spread themselves and their name in many cities. RichFeel sees a good scope in franchising as they look up to it as a medium of new income source with the launch of new innovative techniques by the brand and international associations. Being in the market for 31 years, they have grown themselves in 29 cities and are the oldest player in the market. For them, deeper market penetration means entering new markets and creating a niche in which the brand is doing a fairly good job. Richfeel has a network of 75 company-operated and 7 franchisees operated stores. The operational benefit is what attracted the brand towards franchising. “We want to grow by more than 150% in next 5 years by way of opening clinics in Tier 2 and 3 cities,” he adds. Preferred cities &location- Bangalore, Pune, Delhi, Chennai, Kochi and all tier 2 and tier 3 cities.